The Jackal is an EDC fixed blade featuring a sleek, full tang design. 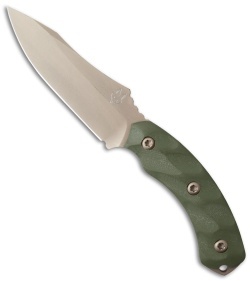 This model is equipped with OD green G-10 handle scales that have been 3D milled for a fitted, ergonomic grip. The drop point blade is made from 8670M high carbon steel and has a Dark Flat Earth brown PVD coating. 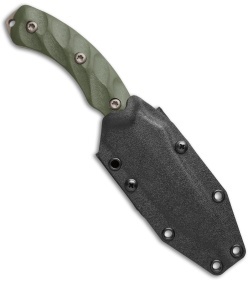 A black kydex sheath is included with the knife that can be adjusted for vertical or horizontal belt carry. The Jackal fixed blade offers an EDC design that is comfortable to use and to carry.